May can be a weird month here in Minneapolis. We had snow last week but now everything is green and the trees are blooming. I hope spring is finally here to stay. 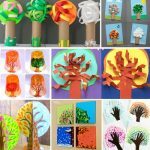 To celebrate the changing of seasons, we created a 4 season tree craft. 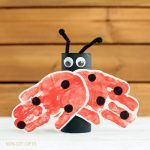 This is a good craft for little kids who love to practice their scissors cutting skills. 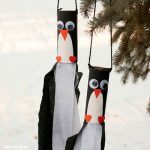 I know my boys love using their scissors and their glue. 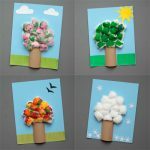 If you’re looking for a variation of the 4 season tree craft and you’re willing to throw in the mix a fun craft material like cotton balls, then take a peek at this four season tree craft. 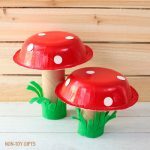 Step 1: Use a small bowl to draw a circle on the green cardstock and cut it out. Step 2: Cut strips of green and pink paper and glue them into circles. Step 3: Use the scissors to make one small cut at the top of the paper roll. The cut should be about 1/2 in long. Make a second one on the other side of the roll. Slide the cardstock circle through the two slots. You don’t need to use glue to secure it. Step 4: Glue the paper leaves on both sides of the green cardstock. 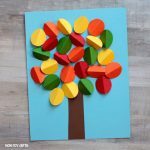 Make sure you use the same number of leaves on each side so that the tree looks balanced. 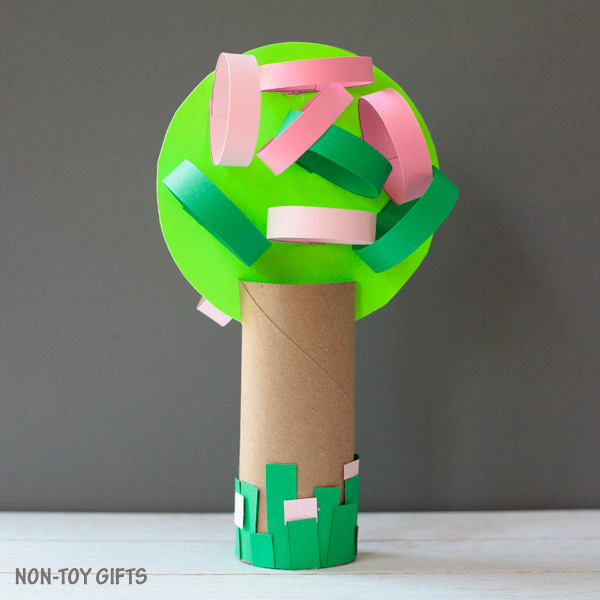 Step 5: Cut tiny strips of green and pink paper and glue them at the bottom of the tree to make it look like spring grass with flowers. Step 2: Cut strips of green paper and glue them into circles. 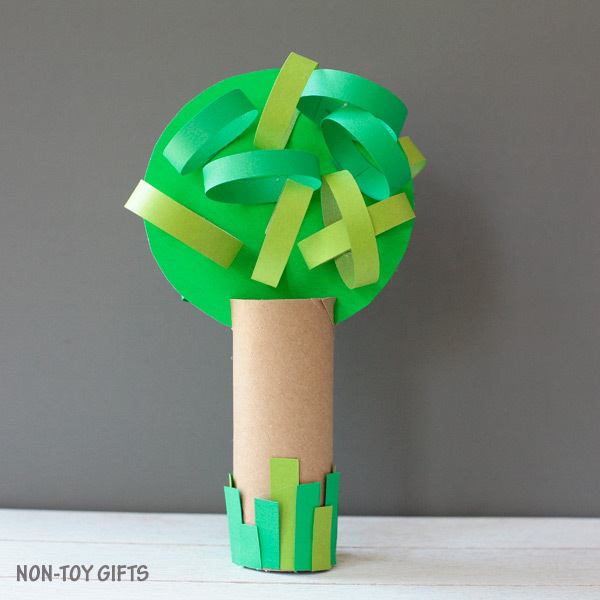 Step 5: Cut tiny strips of green paper and glue them at the bottom of the tree to make it look like grass. 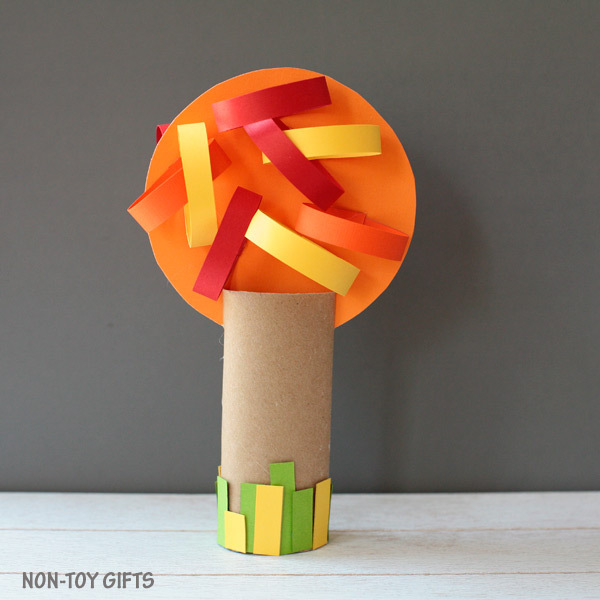 Step 1: Use a small bowl to draw a circle on the orange cardstock and cut it out. 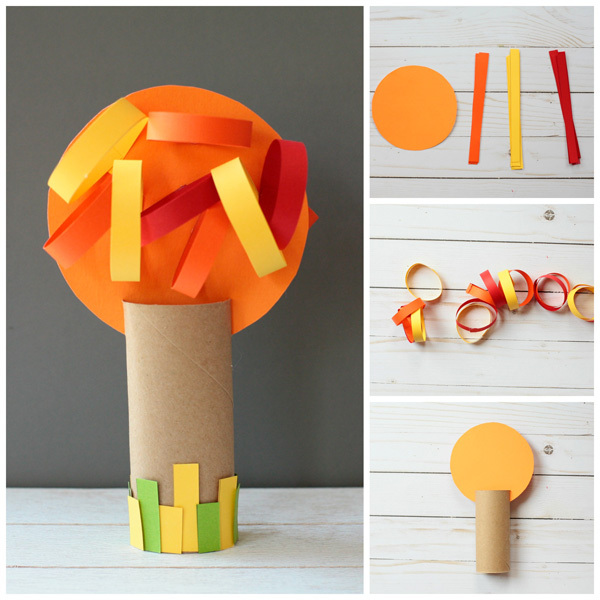 Step 2: Cut strips of orange, yellow and red paper and glue them into circles. 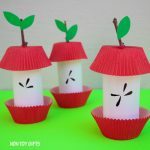 Step 4: Glue the paper leaves on both sides of the orange cardstock. Make sure you use the same number of leaves on each side so that the tree looks balanced. 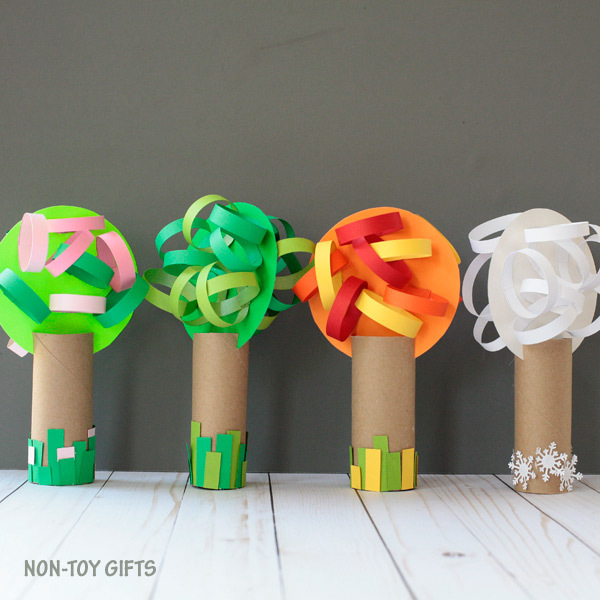 Step 5: Cut tiny strips of green and yellow paper and glue them at the bottom of the tree to make it look like grass. Step 1: Use a small bowl to draw a circle on the white cardstock and cut it out. Step 2: Cut strips of white paper and glue them into circles. Step 4: Glue the paper circles on both sides of the green cardstock. Make sure you use the same number of circles on each side so that the tree looks balanced. 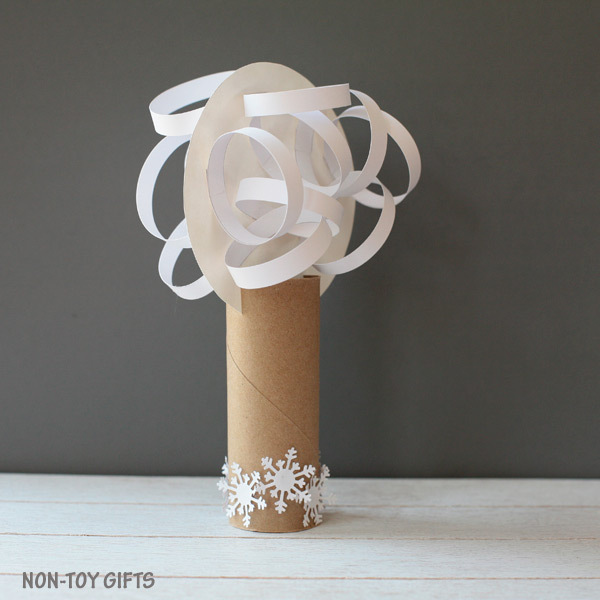 Step 5: Use the snowflake punch to make several snowflakes. 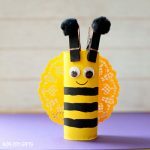 Glue them at the bottom of the paper roll.